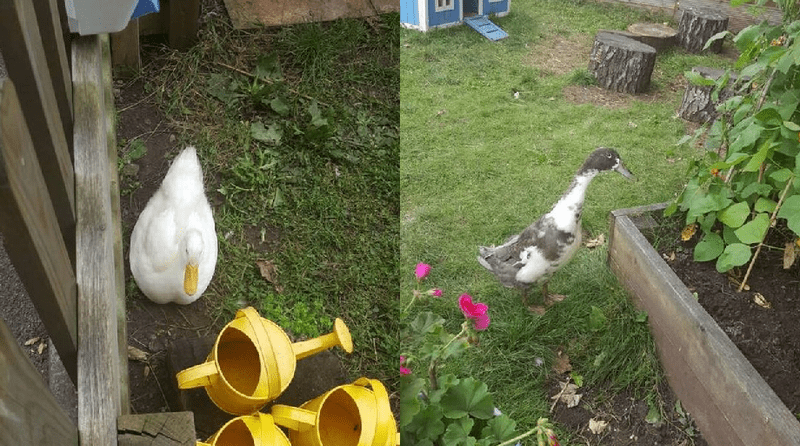 Fears are growing for two beloved ducks which have gone missing from a nursery in Somerset. The pair, called Eddie and Dave, disappeared from Stationhouse nursery in Portishead overnight on August 23. The ducks have lived at the nursery ever since they were hatched in an incubator there. “Eddie imprinted on my daughter as she was the first person he saw when he hatched. He adored her and followed her everywhere – he spent his life trying to get inside her jumper. “All the children from the nursery are going out around Portishead today to look for the ducks. It is believed that the feathered duo may have been stolen by thieves, as there is no evidence to suggest they have been attacked by predators. In addition to this, the ducks appear to have disappeared through a door at the nursery which staff do not normally open.